The secret to a better retirement is a simple one: be proactive. The retirement outlook for many Americans is slightly brighter this year according to recent research studies, though the majority of workers age 60 or older still plan to put it off. Three separate retirement studies were released in the past month, which collectively paint a disappointing—though slightly improved—retirement readiness picture. The reason for the slight improvement is a return of value to retirement programs that took a beating in the recent recession. Still, the studies also confirm that the vast majority of Americans are ill prepared financially to face retirement. Indeed, many have called the nation’s current retirement picture a “crisis,” with the current generation less financially prepared than the generation before them. The result is that the traditional retirement ages of 60, 62 or even 65 hold no special significance for many. An annual survey from CareerBuilder finds that 58 percent of workers age 60 or older are currently putting off retirement. This represents a slight decline from 2013 when 61 percent said they are putting off retirement but a significant improvement from the peak of 66 percent in 2010. 27 percent say they fear retirement may be boring. Perhaps most encouraging is the finding that fewer works say they expect to take on full or part-time work after they retire. Forty-five percent say they will look for work in retirement, which is a 15 point drop from the 2013 survey results (then cited by 60 percent). CareerBuilder noted that this could indicate that mature workers now have more confidence in their finances as they near retirement, or that better access to health insurance is reducing the need to work before they reach Medicare eligibility. 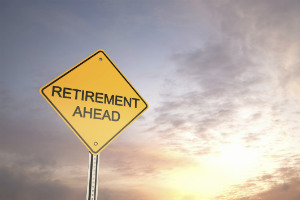 “As retirement funds rebound and the economy improves, fewer workers are delaying retirement than at the height of the recession,” according to Brent Rasmusses, president of CareerBuilder North America. That last point was confirmed by Ryan Hunt, senior career advisor with CareerBuilder, who co-authored the study. Also reporting a slight improvement in retirement readiness among mature American workers is the Employee Benefit Research Institute (EBRI) which just released its annual report on the topic. The EBRI uses a proprietary Retirement Security Projection Model (RSPM) to determine the retirement readiness of typical workers. According to EBRI President Dallas L. Salisbury, EBRI’s takes into account a combination of expenses that retirees may face, such as health insurance and out-of-pocket health-related expenses, nursing home expenses, etc. Salisbury said that many retirement readiness studies fail to take into account major medical expenses or long-term care expenses that an individual may face. The result can be a misleading conclusion, he believes. Still, the EBRI study drew similar conclusions to the CareerBuilder study when it came to overall retirement readiness. “Overall retirement income adequacy for Baby Boomers and Generation X households improved last year, though factors like age, income, and especially access to an employment-based 401(k)-type retirement plan, can produce significant individual differences,” the EBRI report said. Future Social Security benefits make a huge difference for the retirement income adequacy of some households, especially Gen Xers in the lowest-income quartile. “It would appear that while retirement income adequacy depends to a large degree on the household’s relative wage level and future years of eligibility in a defined contribution plan, a great deal of the variability in these values could be mitigated by appropriate risk-management techniques at or near retirement age,” noted ERBI research director Jack VanDerhei, who authored the report. Despite the similar findings of the EBRI report and the Career Builder study that retirement readiness shows a slight improvement this year, the United States still ranks 19th in the world for retirement security, for the second year in a row. That is the finding of a new study on retirement readiness from Natisix Global Asset Management, which ranked 150 countries based on healthcare, finances, economic well-being and quality of life factors. The study found that despite the benefits of increasing U.S. economic stability, those gains are checked by the potential for rising interest rates and inflation, as well as persistent income inequality. “The responsibility for financial security in retirement is falling even more heavily on individuals than ever before and this trend is likely to continue as government resources become more scarce,” said John T. Hailer, chief executive officer of Natixis Global Asset Management in the Americas and Asia. In preparing the 2014 Global Retirement Index, Natixis examined 20 key trends across four broad categories: health and healthcare quality, personal income and finances, quality of life and socio-economic factors. “There is no one-size-fits-all solution to this serious, growing retirement planning challenge,” said Hailer.